At a glance of this topic, you will tell yourself that you can successfully conduct shower screen installations and repair works, without any expert help. However, this assumption does not take various factors that are paramount to successfully conducting this endeavor. This is not to say you cannot install or repair the screens yourself, but to plainly put it, it is not a job for the average Joe. A lot needs to be considered. Furthermore, experience does play a huge part in doing a good job. This is one of the main reasons why it is advisable to hire professionals to do the job for you. To put things in perspective, here are the things that one must consider while conducting shower screen installation and repairs. This is one of the obvious things that needs to be considered while installing shower screens. 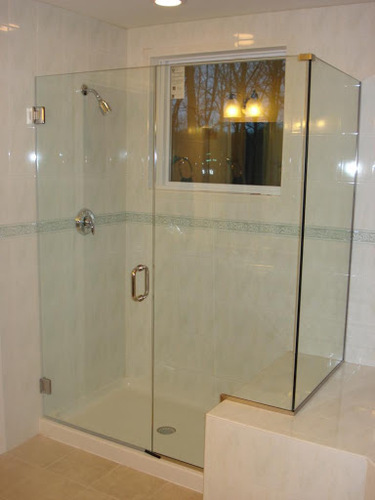 It important for the shower screen to compliment the overall design of you bathroom. In many cases, the owner of the house determines the final design but a specialist in shower screen avails the variety of screen designs that are best suited for particular showers. Without expert help, the owner of the house may drown in the variety of screen available on the market. For instance, experts play an important role in determining whether a hinged or sliding door is best suited for your bathroom. They also advise you on the variety of glass panels that will complement your shower, including a variety of polished and beveled glass panels. The complexity of installing frame-less, semi-framed or framed shower screens that do not leak water requires a certain set of skills and experience. If you are not ready to compromise on the integrity of your shower screen and overall your bathroom status, hiring an expert to install it for you is the best choice you can make. Just as is the case with installations, repairing shower screens requires an expert’s input. Again, the complexity involved in this work is quite enormous, and failures cannot be tolerated. Among the most popular elements that require fixing include rollers on sliding shower screens, hinges on hinged shower screen doors and door handles. It is also very common for panels that have suffered from cracks, chippings and any other sort of damages to be repaired. If you have installed shower screen types that were discontinued, having expert shower screen carry out the repairs can be a very wise idea. Many experts have in their stock, repair parts of shower screens from various companies. As such, they tend to have repair parts of even unique shower screen types or the discontinued shower. Most experts have a no-fix no-pay policy. If shower screen is not repaired, you are not obliged to pay, unless you had agreed on a consultation fee. This means you can get expert advice with regards to damages to your shower screen at a very low cost if any.